If you’re feeling uninspired and are looking for something that’s uniquely you, join Kiki at the Chosen Wedding Fair for days of discovery celebrating the best contemporary designers, service providers and vintage aficionado’s you could hope to find, helping you make your big day as unique as you are. Over the past few years Chosen Wedding Fairs have been lucky enough to host some of the brightest stars in the industry both established and newly emerging. They also fully believe that the designers and makers who we handpick to exhibit at each wedding fair, offer the very best creative, unique, vintage, quirky, stylish and ahead of trend items that the industry has to offer. Perfect for the discerning couple. Shake off that corporate wedding fair atmosphere – gone are the stretchy chair covers and white table coverings that make every fair like the next – expect a veritable wedding wonderland of colour, sparkle, fun and smiles! 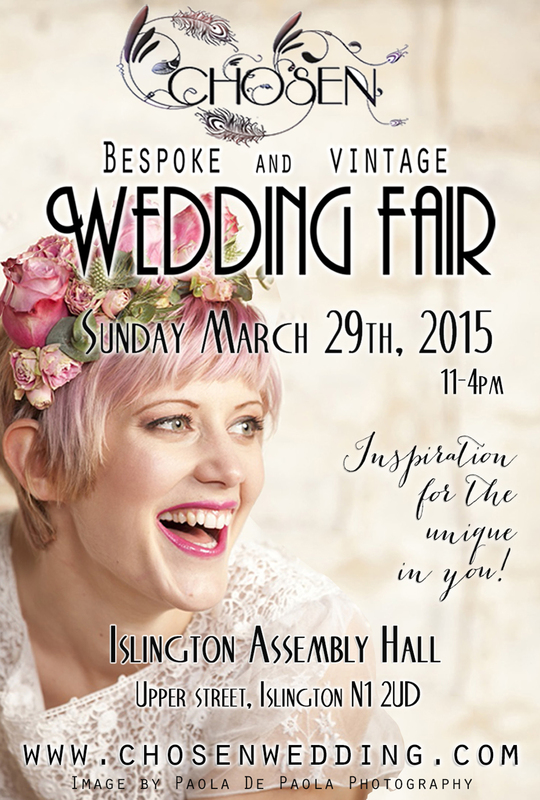 Tickets are available to book online – doing so reserves a free handcreated goodie bag for the bride to be. All images by Paola De Paola Photography.